Used machinery is becoming an increasing source of investment for many construction firms, as opposed to buying top of the range and unused equipment. Equipment manufacturers who are battling concerning levels of weakened demand are finding their customers are looking to cost-cut, by introducing business methods, such as buying cheaper and second-hand machinery. It is not an industry specific thing, the effect is being felt from customers that’s business is related to any form of commodity, with the global slump being felt in the value of everything. Firms tend to be changing their purchase mentality from buying a machine flat-out for an hundreds of thousands of pounds to renting the machines for whatever the required period of time might be, this common attitude is being done whether to increase fleet sizes or just to replace old and out-of-date equipment. The result is having a negative impact on all the big name manufacturers, such as Caterpillar, Volvo and Deere, as well as smaller manufacturers who will perhaps be feeling the effects more severely. 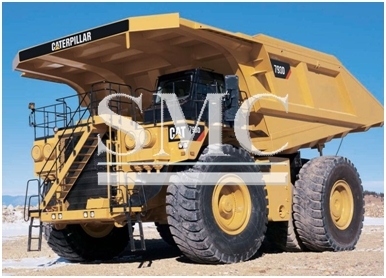 Machinery gluts can be lengthy because such high-price equipment can last a quarter-century or longer. The strong U.S. dollar also is damping demand from developing African and Asian markets that once snapped up used machines. Trends toward leases and rentals are creating larger fleets of used equipment that trickle down the value chain into a crowded secondhand market. Up to half of all new equipment sales in the US are to rental businesses, and a number of market professionals see that figure climbing to 60% within just 5 years. It is becoming increasingly common for companies coming into a new area to do a project, to rent all the required equipment for the duration of the project. Contractors are increasingly choosing to lease instead of buy new equipment. Leases allow them to pay less up front, especially when the manufacturers’ financing arms offer attractive lease rates—lower than the cost of shorter-term rentals. “A guy can lease a machine for a year or two and pay as little as one-third of what he could get it for as a rental,” said Frank Fowler, senior vice president of used equipment at Ring Power, a Caterpillar dealer in St. Augustine, Fla.